A collection of sharp-edged short stories. The world of these stories is not a cheerful one, but nor is it hopeless. One of thousands of moments when we step off the conveyor belt of life: switch off our phone (everyone can get stuffed), fail to turn up for work for no good reason, get drunk with a stranger for the hell of it, offer shelter to a down-and-out, kick red poppies to kingdom come. At these times, life opens wide to reveal a path, an abyss or a path to the bottom of an abyss. The characters in To the Interior know that only they can determine how much life they grab for themselves. Their closest associate is solitude, though they know that its accompanying silence can be lethal. They must cry out in the hope that the answer they get will be more than a mere echo. 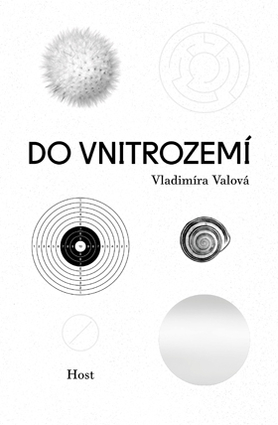 Vladimíra Valová’s debut is one of the most remarkable short story collections of recent years and was nominated for the prestigious Magnesia Litera Discovery of the Year award and the Czech Book Award. A selection of the stories will also be published in German. Vladimíra Valová (b. 1978) is a native of the town of Třebíč, where she still lives. For several years she worked as an editor and photographer for the local press. She now works in a bookshop. She began writing short stories eight years ago. Her work has appeared in Host monthly.